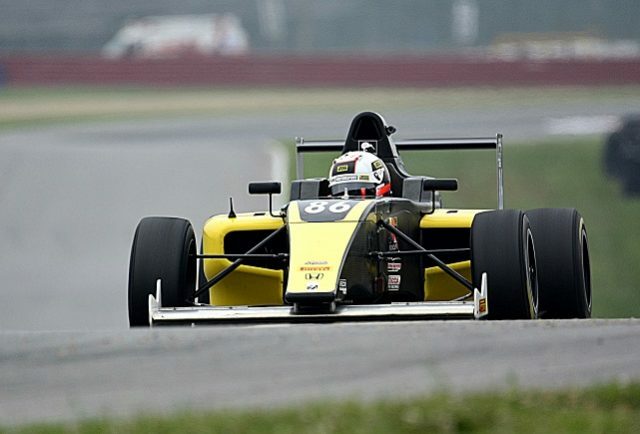 New Zealander Brendon Leitch has taken a maiden race win in Round 4 of the Formula 4 US Championship at Mid-Ohio despite falling as low as 19th during the encounter. The Southland driver took podiums in the two other races to win the round overall, but it was his effort to twice cut through the field in Race 1 which was most remarkable. Starting eighth on a wet track in the Kiwi Motorsport entry, Leitch quickly moved into the race before getting involved in a multi-car incident which saw him rejoin the track back in 19th. However, he would recover most of that ground to run in fifth position with two laps remaining, when heavy rain started to fall. That caused the leader to run off the road as Leitch moved back into the lead and went on to take his first win in the category. “We made a brave move to go out on slicks and as the race progressed I pushed through the field setting fastest lap of the race and came away with the win,” Leitch explained on his blog. The 21-year-old finished third in Race 2 despite an early spin and second in Race 3. The result vaults Leitch from 16th to fifth in the championship with three rounds remaining, the next at Virginia International Raceway on August 25-27.